This family of compact, single stage pumps are configured with standard modular components. 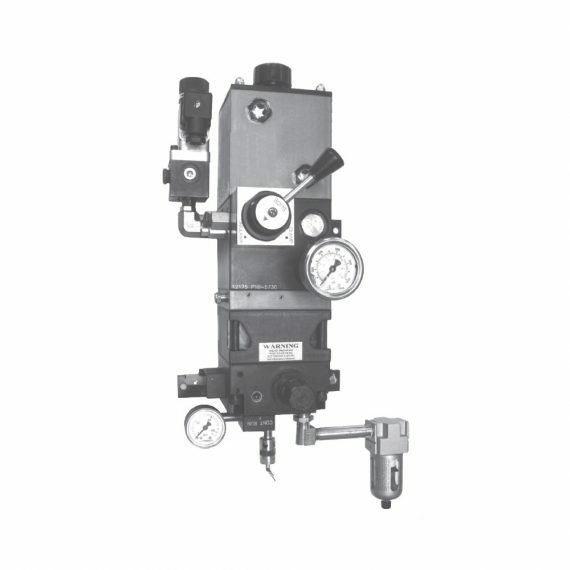 The proper combination of hydraulic and electrical controls provide hydraulic power source to suit small single circuit systems. The unit is supplied with a compact air filter and regulator. HCR-PA-21510-60 solenoid valve, 110 VAC, 2 pos. 4 way, N.O. HCR-PA-21610-60 solenoid valve, 24 VDC, 2 pos. 4 way, N.O.